To fit in the art world, work with a religious theme has to fulfill several criteria. It has to demonstrate the artist has second thoughts about religion . . . . Ambiguity and self-critique have to be integral to the work. And it follows that irony must pervade the art, must be the air it breathes (On the Strange Place of Religion in Contemporary Art, Routledge, 2004). A few years ago I wrote a book called The Strange Place of Religion in Contemporary Art. It was motivated by the absence of what might be called committed religious art in the international art market.... The book has introduced me to a new world, because I now receive invitations to talk to Christian institutions. In many cases I had not even been aware that those institutions existed - for example Westmont College in Santa Barbara, Lipscomb University in Nashvielle, and Biola University... Getting to know some of the many careful and reflective people who write about religious art from outside academia has made me sensitive to the absence of personally engaged conversations about religion (as opposed to historiographic, philosophic, or sociological conversations) in academia. The excellent scholars of religion who are themselves religious, and value their scholarship principally as a way to enrich their religious experience, have shown me a different way of reading art history (Idol Anxiety, Stanford University Press, 2011). In this book, I have tried to work against [the secularist] narrative and break the necessary condition between secularity and disenchantment. 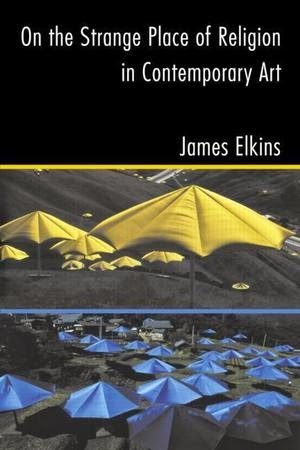 My implicit contention has been that in denying themselves recourse to religious vocabulary or theological conceptuality, modern art critics give up what would be advantageous to a profound encounter with the works in question. Religion and theology has let me name what the art critic often names and addresses with only limited vocabulary. 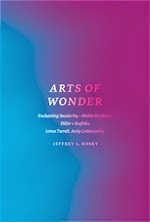 In this sense, it lets me prolong the encounter with the work of art, deepening the event of its coming intimately over me and bringing its strangeness to light (Arts of Wonder: Enchanting Secularity, University of Chicago Press, 2012). Christopher Brewer points out a few things that Kosky missed, but either way, you might call this progress - in the complete opposite direction of the (by now nearly fossilized) secularization theory of yore. The secret is out, even if a few folks have yet to get the message. Still, notice that last line of Kosky's. Encouraging as this all may be, I sure hope religious people retain their strangeness.